Today we have another contribution from reader Mark Sturtevant, who sent us some lovely insect photos and instructive notes. His comments are indented. Here is another installment of pictures of insects taken during the summer of 2017. 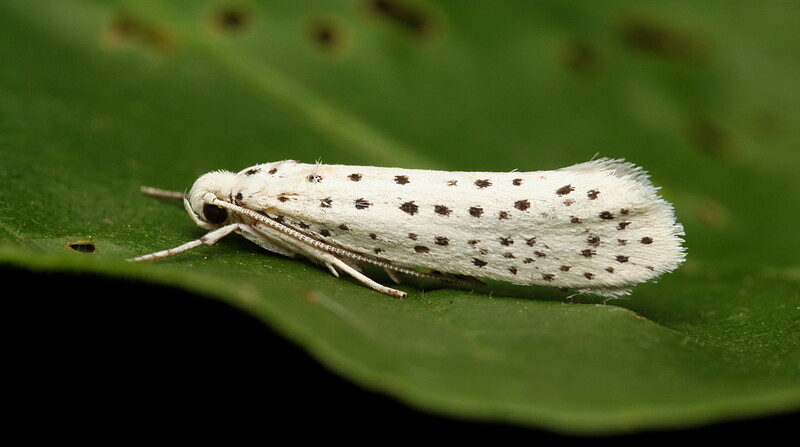 First up is a lovely little moth which is aptly named the American ermine moth (Yponomeuta multipunctella). I don’t know much about them except that their larvae make communal webs on a few different plants, including ‘running strawberry’ (Euonymus). In what I call the Magic Field, one can often find little tracks in the fine dirt, and some of these are made by our largest blister beetle. These “oil” blister beetles belong to the genus Meloe, and depending on the species they will have either an interesting biology or an amazing biology. As a relatively mundane point, it is the males who have the weird antennae shown in the pictures. These are used to grasp the female antennae for mating. What is more interesting is that, as a rule, blister beetle larvae are parasitic on other insects, and during that stage they exhibit what is known as hypermetamorphosis, meaning that they pass through several different forms that look very different from each other. Some members of Meloe parasitize grasshopper egg masses, and this may be what our local species is about, for grasshoppers are very abundant in the Magic Field. The members of this genus with the ‘amazing’ biology are those that parasitize ground bees. For a description of that one should read the Life Cycle from here. I am still geeking out about it. I should probably say something about these pictures. 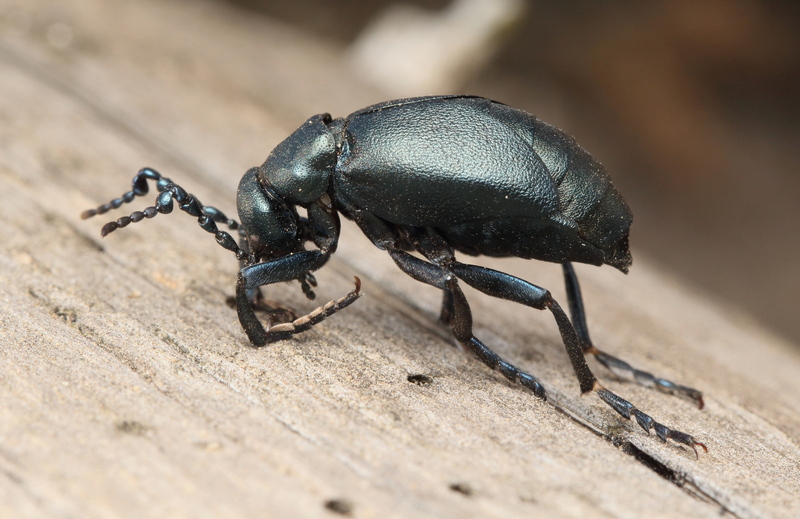 Oil blister beetles appear to be ceaseless wanderers, and so they are proving to be a challenge to photograph. My only solution so far is to either put them at the end of something like a finger, which seems to baffle them, or to make them curl up into a defensive posture. They can exude a caustic and oily secretion at this point if they are really annoyed. 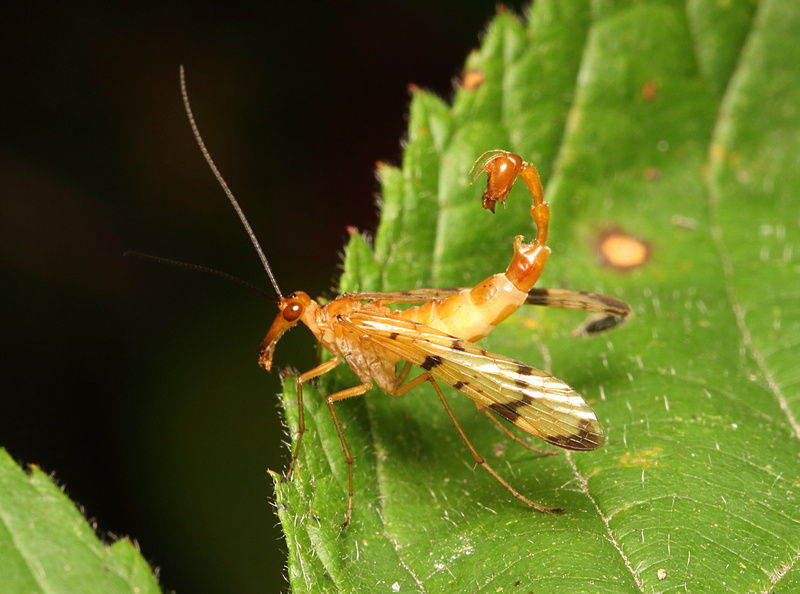 The next two pictures show our local species of scorpionfly, which belongs to the obscure insect order Mecoptera. The ones around here are in the genus Panorpa, and I cannot get a more specific identification of them. The first picture is a female, and the male in the second picture is wielding the impressive genitalia that has inspired their common name. A bit disconcerting, especially when they arch and flex their tail and then open and close what look like a pair of sharp jaws back there. Scorpionflies are generally scavengers on dead insects. I have seen them feeding on bits of insects from bird droppings, and just this previous summer I got some pretty good pictures that show this. Next is another rather odd insect called a hangingfly. I think this one is Bittacus strigosus. 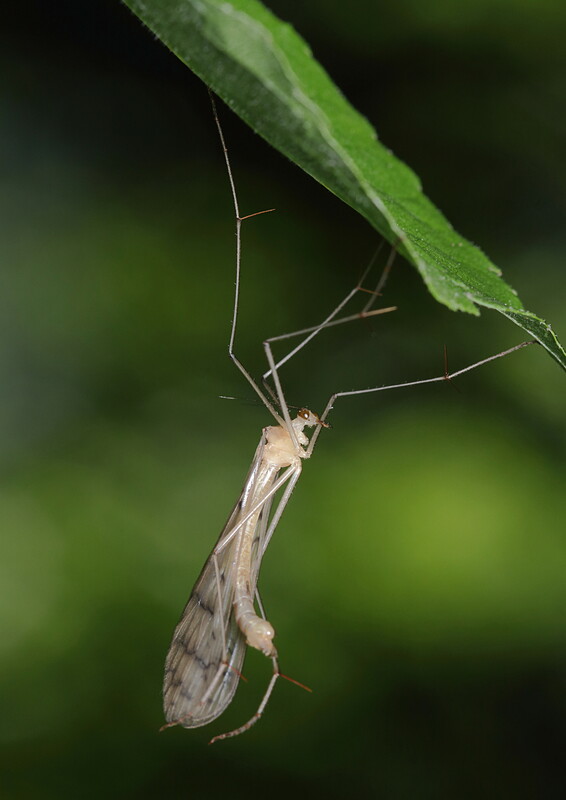 Hangingflies strongly resemble crane flies (which are true flies), but they actually belong in the same order as the scorpionflies. Their typical posture is shown here, in which they use their long spurred legs to snag flying insects from the air. Another interesting thing about their biology is that male hangingflies will present a dead insect as a ‘nuptial gift’ to a female, and this may earn him the chance to mate with her. An example is shown here. I would love to see that! I find them to be difficult to approach with a macro lens, but this one probably was a recently emerged adult and so it was not inclined to fly off. The final pictures are of American rubyspot damselflies (Hetaerina americana). 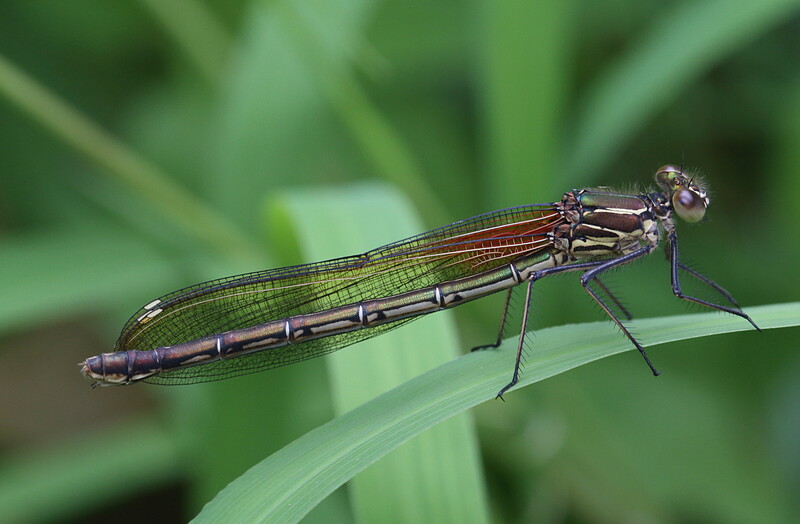 These are one of the largest damselflies in the U.S. I had previously taken pictures of these beautiful insects but they were always males for some reason; so I especially wanted to get pictures of females. There is a park that extends along the Flint river near Flint, Michigan that has a very robust population of American rubyspots, and it was the perfect place for this mission. The day that was chosen was overcast with clouds, and the naturally diffused lighting provided perfect conditions for this kind of photography. It had rained heavily the night before, however, so the river was very high and swift. To get these pictures, I had to sit on the muddy bank with my feet dangling in the high water so that I could lean out toward any damsels that came to perch near me (scary!). 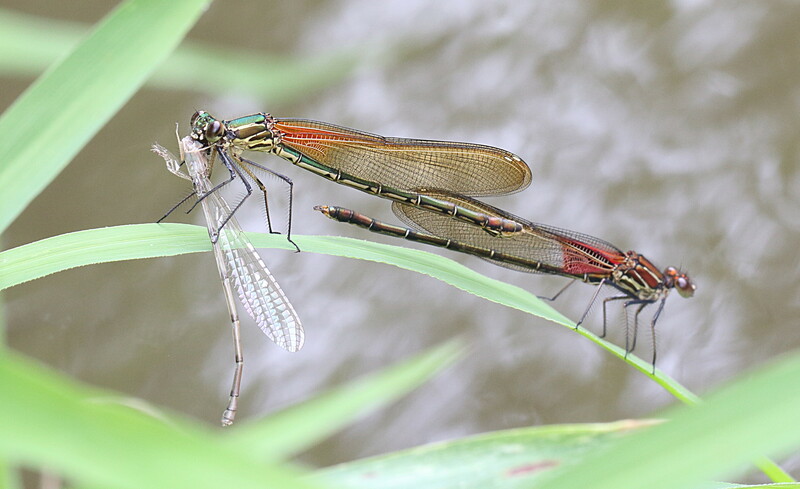 Several minutes after my intrusion, the resident damsels gradually moved closer to sit at their favored perches and I could start to take pictures. I recommend that readers double click to embiggen these, for rubyspot damselflies are simply beautiful. The first (above) is of a lone female, looking jaunty with her slightly askew wings, but soon my full attention went to a rather incredible sight since nearby there was another female that had taken another damselfly that had just emerged as an adult from the water. These are shown in the last two pictures. 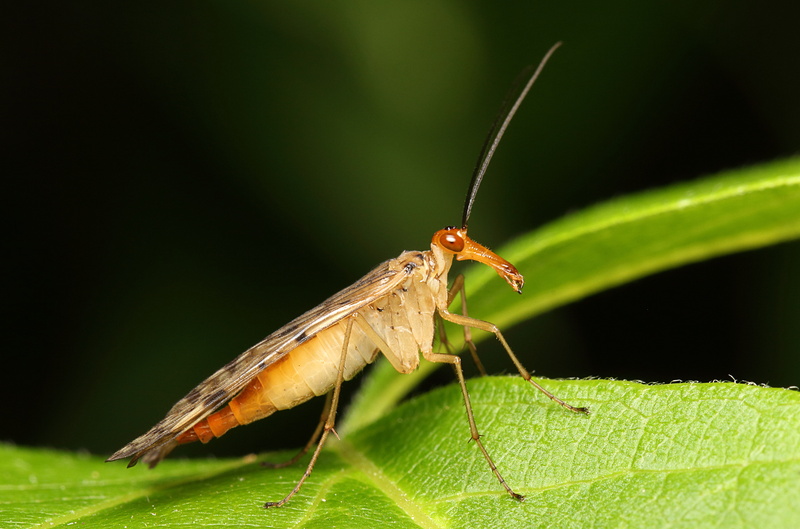 It is easy to forget that these dainty insects are dedicated predators! In the background was a perching male. Males use their bright red colors as an aggressive display to rival males during their ‘battles’, which is pretty much just chasing each other around. These contests are done to win and hold a bit of riverfront property favored by the females, and the females are more likely to mate with the resident male. As both the female and I sat on the riverbank, each doing our thing, the male would occasionally fly off to chase something. He would then return to the same spot next to the female. This entry was written by whyevolutionistrue and posted on November 23, 2018 at 7:45 am and filed under insects, photography. Bookmark the permalink. Follow any comments here with the RSS feed for this post. Both comments and trackbacks are currently closed. Beautiful photos end engrossing notes. Thanks for sharing with us. Thanks for taking the risk and getting these fine shots. You’re right. You should embiggen. 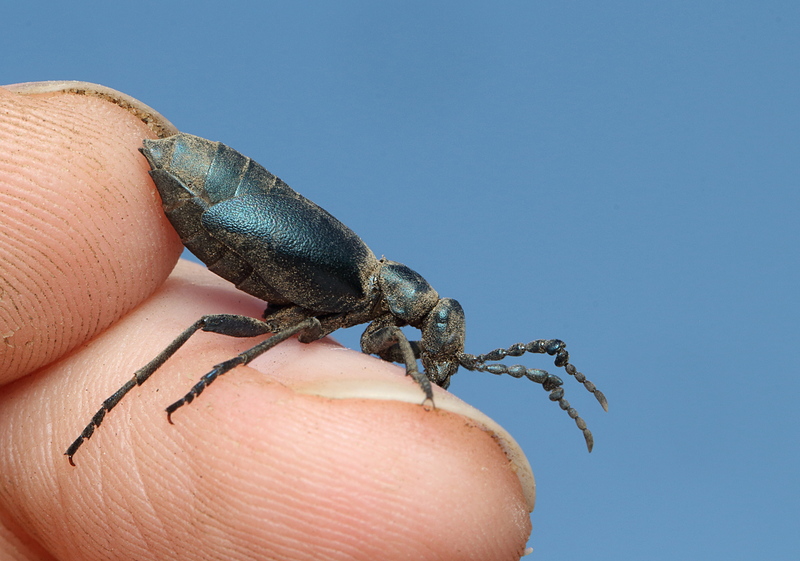 Blister beetles! As soon as I heard that I remembered reading Roahl Dahl’s book “My Uncle Oswald”, which features them as a major plot point. For those that don’t know, their toxin can cause “persistent and abnormal erections”, and is a component of Spanish Fly. Beautiful and informative as always. The scorpionfly triggered a deep memory. Many years ago I did a sabbatical with Hampton Carson in Hawaii working on the amazing radiation of picture-winged Drosophila. There was one species in which the male, as part of the courtship ritual, arched its abdomen clear up over its head to present a small droplet of liquid, presumably with pheromones. Thanks for these rare (to me) insects and informative commentary. The last shot is especially lovely. When blown up, you can see the amazing colors, even on the “clear” exoskeleton. Is it eating the exoskeleton or is it still in the process of molting? 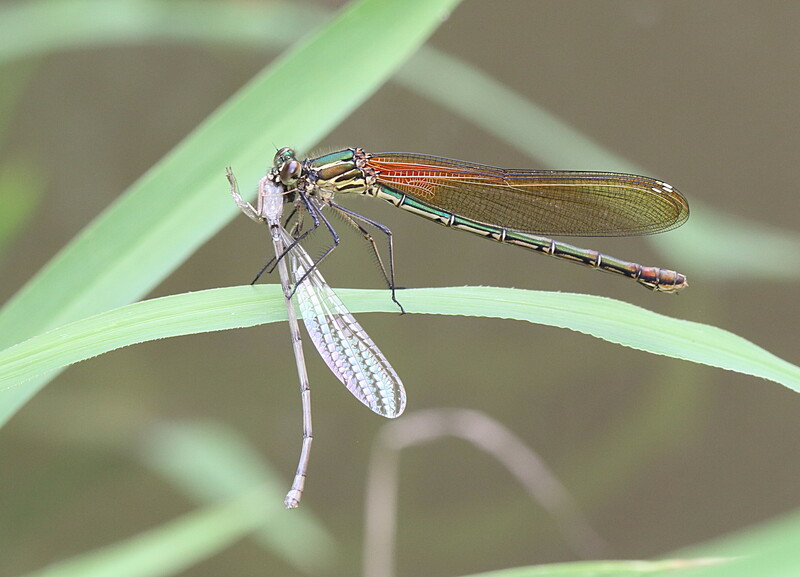 The meal is an adult damselfly that had recently emerged from the water and had expanded its wings. It did not yet have pigment, and it was completely helpless. It might have been a bluet damsel, but it is hard to tell without colors. Aha, I see. Thanks for the clarification. Amazing, beautiful shots! And fascinating critters, as always. Scorpion flies were unusually common here this past summer, and for some reason liked to land on me as I walked around the field. No matter that I knew they were harmless, their bizarre looks always gave me a start when I glanced down to see what had alighted. Some of the hotlinks appear to be mixed up, among them the one to the life cycle of the ground bee-parasitizing oil beetles. Easy enough to find from your previous link, though, and I’m glad you sent me searching for it. Wow!